Why do politicians think that war is the answer to terror when military intervention in Iraq, Afghanistan, Pakistan, Syria, Mali, Somalia and elsewhere has made things worse? Why do some conflicts never end? And how is it that practices like beheadings, extra-judicial killings, the bombing of hospitals and schools and sexual slavery are becoming increasingly common? 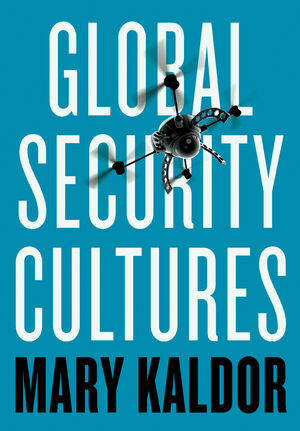 In this book, renowned scholar of war and human security Mary Kaldor introduces the concept of global security cultures in order to explain why we get stuck in particular pathways to security. A global security culture, she explains, involves different combinations of ideas, narratives, rules, people, tools, practices and infrastructure embedded in a specific form of political authority, a set of power relations, that come together to address or engage in large-scale violence. In contrast to the Cold War period, when there was one dominant culture based on military forces and nation-states, nowadays there are competing global security cultures. Defining four main types - geo-politics, new wars, the liberal peace, and the war on terror she investigates how we might identify contradictions, dilemmas and experiments in contemporary security cultures that might ultimately open up new pathways to rescue and safeguard civility in the future. "A major contribution to our understanding of the contemporary security landscape." "This book is a fascinating and thought-provoking assessment of the state of contemporary global security and, crucially, the cultural practices underpinning it, by one of its most perceptive scholars."